I don't quite know how where to start with this blog post, and I made several attempts at writing it, but let me begin by saying that the last 10 years have been an absolute blast, and I am so grateful. I have been fortunate in many ways, I have been supported by the many readers of this blog (20 million+ page views! 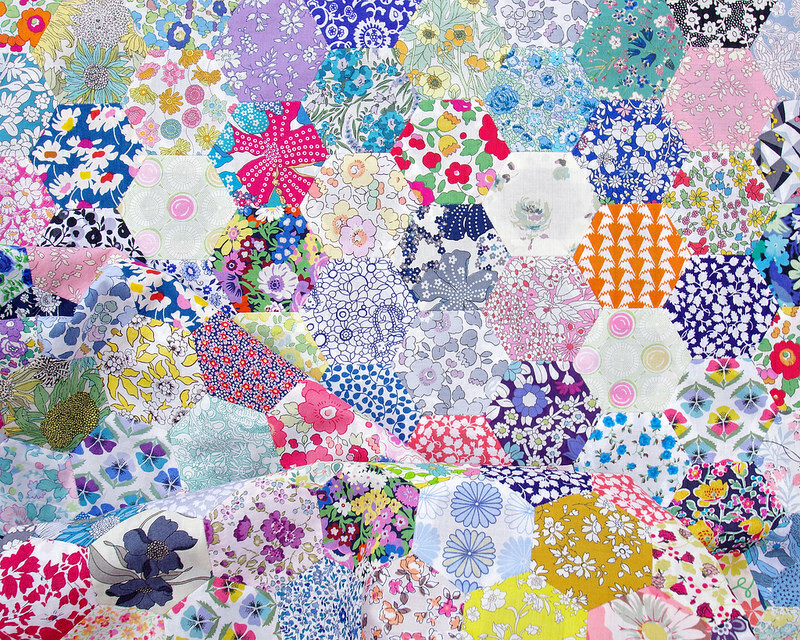 ), have had financial support from many wonderful sponsors and businesses, and have revelled in the making of so many quilts - I haven't counted just how many quilts. 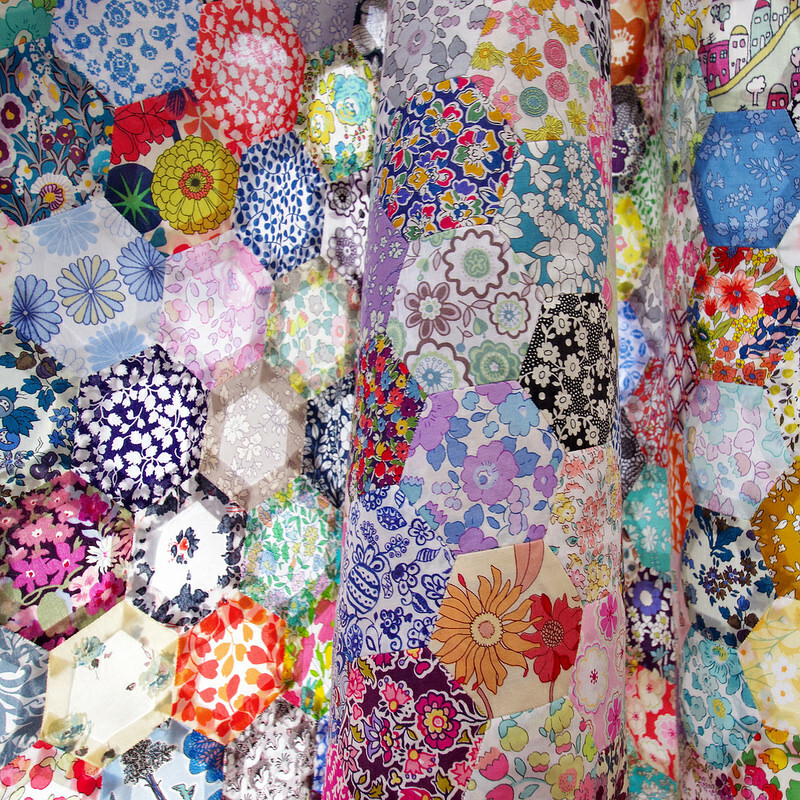 I have also been fortunate to see my quilts go to homes all over the world, many to repeat customers. I have learned so much! It is now time for me to take a break from actively running Red Pepper Quilts as a business - at least for the foreseeable future. While this decision wasn't an easy decision, it feels very much like the right decision, and one which will give me time to prioritize the things that ultimately are more important than quilts and fabric, like health, family, and friends. I will still be making quilts (including quilts to sell - see my Etsy Store) and I will continue to update this blog with all the photos, but there will be no regular/scheduled updates (no more Sunday Stash). This blog will continue to be a quilting blog! Blog posts will be published when time allows and I am not yet sure what that is going to look like. I have a long list of things I'd like to do with my more flexible schedule, and that includes more work with yarn, more time for slow sewing (maybe even learn how to hand quilt), but also more time spent with family, and time tend to my neglected garden (no, I am not writing a book 😂 - #frequentlyaskedquestion). A BIG shout-out to all of my long time sponsors - those businesses whose click-through logos you see in the left and right side bars - for understanding my current circumstances, and for having been a pleasure to work with. I will shortly be moving the sponsor logos off this front page, so if you sometimes stop by here to click through to your favorite fabric shops, be sure to book-mark these stores. Quilt top measures approximately 50 inches x 61 inches. 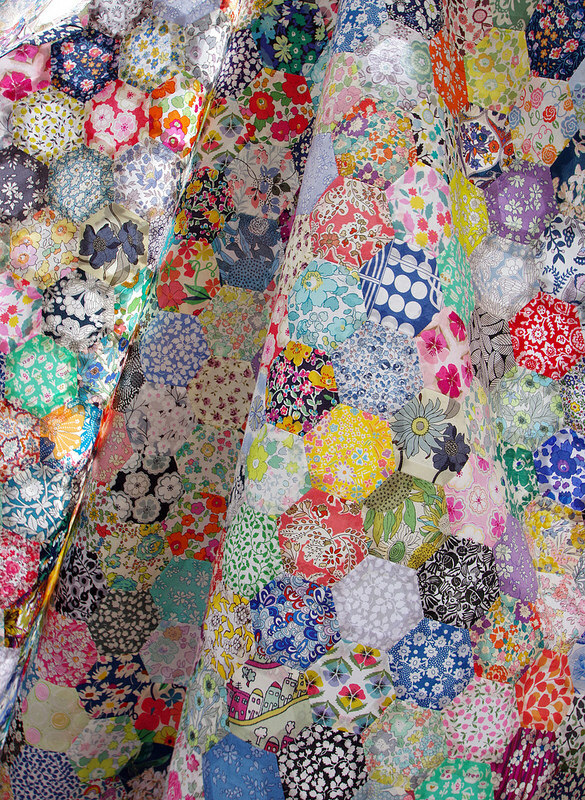 Hexagon Papers available from from Tales of Cloth. 27 vertical rows of 29 hexagons. 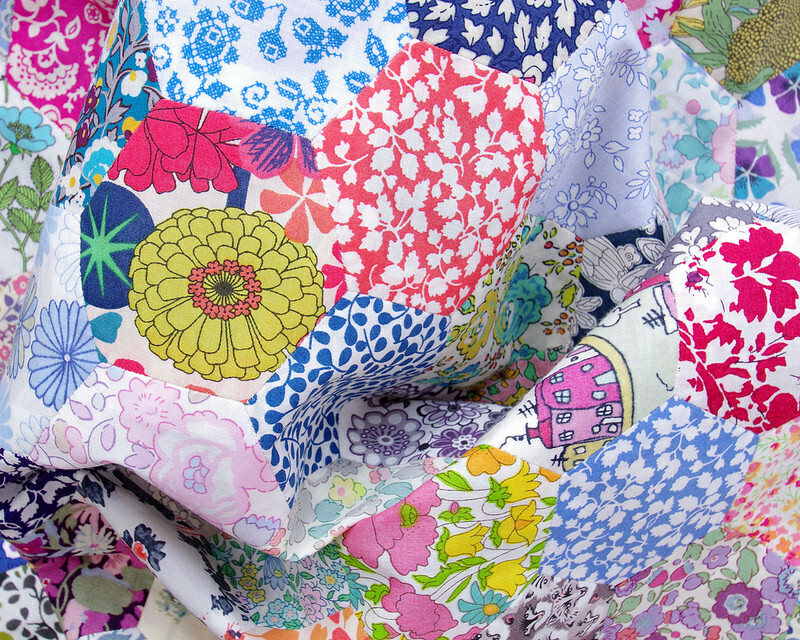 Liberty of London Tana Lawn - all from stash. 1¼ Inch Hexagon Template with 3/8" seam allowance. And I am so very grateful for the support I have received from all of my blog readers, many of whom have followed my quilting journey from day one, and many who regularly stop by to see what I have been up to. I hope you will continue to stop by, check in on my quilts, and I hope to continue to deliver the quilty eye candy. Thank you, thank you. It hardly seems enough. It is exciting, but it is also scary to take a step back from something that has been such a big part of my life for ten years, and I am reminding myself that change is good. This is not goodbye. Don't want to miss a blog post? Follow by Email - enter your email address at the top right hand side of my blog. You'll be sent a subscribe email that requires your confirmation. ONLY blog posts will be sent directly to your email address. Lots of love to you Rita, I will always be thankful for being able to share a small space on your gorgeous blog. Cheers to the future and hugs and kisses to you and your family! I’ll always be watching all the beautiful things you have to show here. Best wishes and hugs to you Rita. I will miss your beautiful quilts and all your beautiful posts, your such a great photographer too. I am thrilled for you! You sound like a very wise woman. There is so much to enjoy in life, your going to have a blast. Thanks for all the great tips and advice you gave along the way. I'm happy for you that you are going to have more time for what you want to do! I look forward to seeing your new creations. Wishing all good things for you, and best wishes on your new ventures, especially in wool. Will miss your Sunday stash photos. Rita, first of all I wish you good health and happiness in all your future endeavors. Secondly.....NOOOO!!! I confess that I must check your site several times a week and it's one of the pleasures of my day. I will miss your regular postings and yet, I understand what an effort it must sometimes be. I will always be a huge fan but selfishly, my life will be missing your cheerful quilts and words of wisdom. They say that all good things must come to an end. I don't want that to be true for my own reasons, but your family and friends are lucky to have you prioritizing in their favor. All the best...now and always. Enjoy your family and I hope you will be able to relax a bit and enjoy your life. Hope to see you back at some point. You will be missed! Best wishes to you. 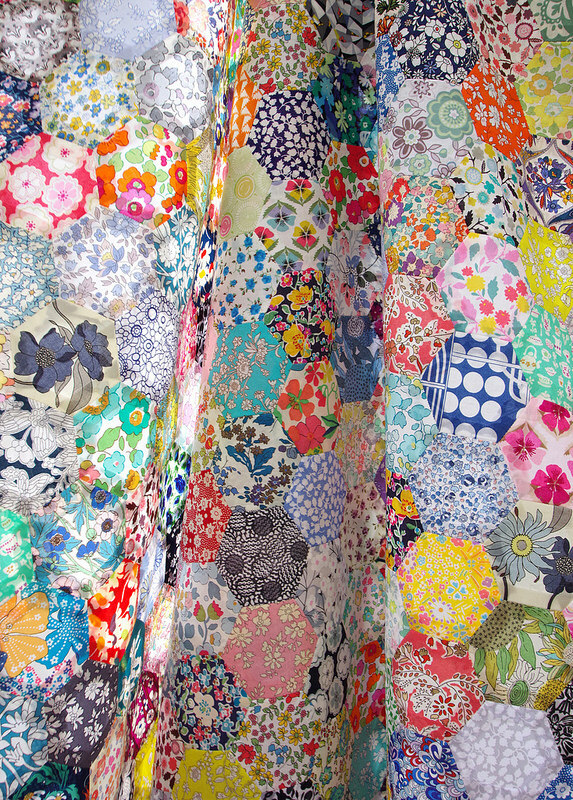 I hope we will still be able to see your gorgeous quilts—I want to make every one of them! You are a true inspiration. Now go enjoy life! You have been a primary inspiration for my quilting. Thanks for all your work and design ideas. Good luck with moving on! I look forward to your future finishes, but I will certainly miss your beautifully photographed Sunday Stash posts. Let me again say, thank you, for it was from you that I learned to master Machine Stitched Binding. All the best to you, Rita! Rita, when I first began reading this post, I feared you were saying good bye. Thank goodness you will continue to blog about your quilting accomplishes. You are such an inspiration. Good luck with your new focuses! Yes Rita I am so glad you will still continue your blog. I've enjoyed reading your posts and will continue reading them as your time permits. Best of luck to you as you make such handwork and I've loved every minute reading about them. I have really enjoyed all your posts and have learned so much from your tutorials. Thanks again and I will look forward to your future blog posts whenever you do post. Enjoy your time with family,friends and new endeavors. Best wishes to you and yours on this path of your journey. I have loved the feast for the eyes that you are always willing to share with us. Bon voyage! So proud of you to make this difficult decision to step back from the rigors of owning your own business. Having the freedom of calling your days your own will be an adjustment for you, but a good one. Enjoy your family, some hand sewing, and yarn work. Thank you so much for the last 10 years of sharing your charming creations with all of us. Because of you I have found the style of quilting I love the best. 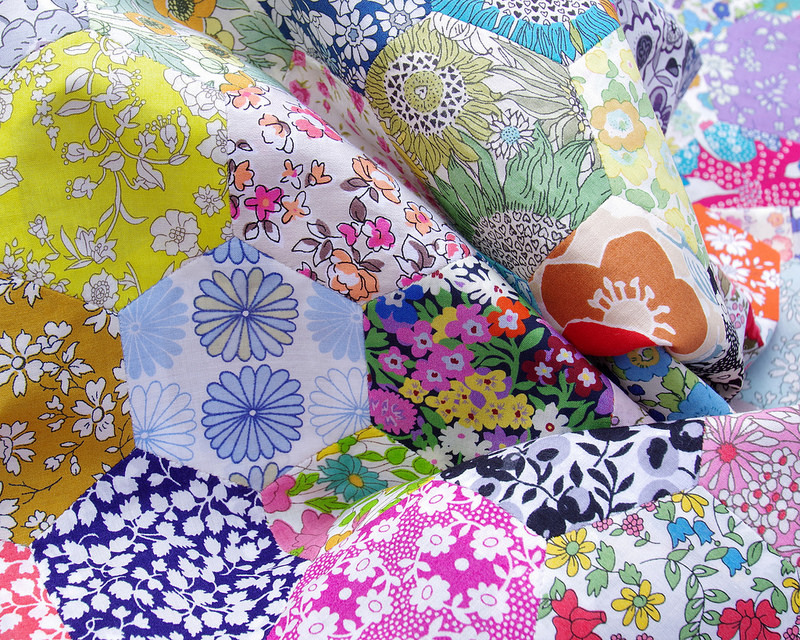 Keep the patchwork simple but use a couple hundred different fabrics. Love it! Looking forward to your occasional posts. Go have a more relaxing life. No expectations, no deadlines. Rita, I completely understand and applaud your decision. Sometimes we really do need to step away from things that are keeping us from living life the way we choose to live it. Health, family and friends should always come first, and there is a lot of joy in that freedom. I wish you all the best and will look forward to whatever you share in the months to come! Everyone deserves a break and a change of direction. Good for you. I have thoroughly enjoyed your blog and will continue to do so. I have also learned about new-to-me retailers and have purchased from them. Thank you for all the great experiences. 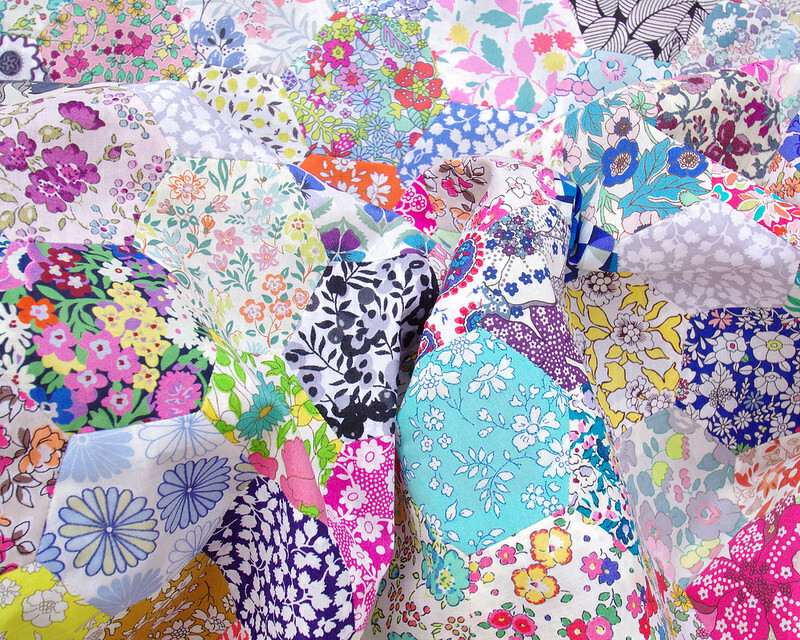 The "thanks" go to you for providing us with such wonderful quilty inspiration over the years. All the best to you . . . I've been following for many years and have enjoyed your blog immensely. Best wishes to you as you pursue other priorities. Family and health are very important! Thank you so much for sharing your talent all of these years. I wish you the very best! Sending the very best wishes to you! How lucky are the other "favorites" in your life that will now receive your loving attention?!! Blogging does take time and it does take away from so many other precious areas. Totally understandable and we'll all be here to view your photos! Hugs! Sending all the positive thoughts and best wishes for your new path. Your blog was one of the very first I came across when I started quilting, thank you for always being an inspiration! Yes, Rita, this change is what you need. No one knows better than you do. Please enjoy this break and change of scenery. Your quilts have been a joy for me to see. I marvel at your fabrics and your beautiful piecing skills. I wish you all the best. Congrats on making a decision and enjoy this new chapter! 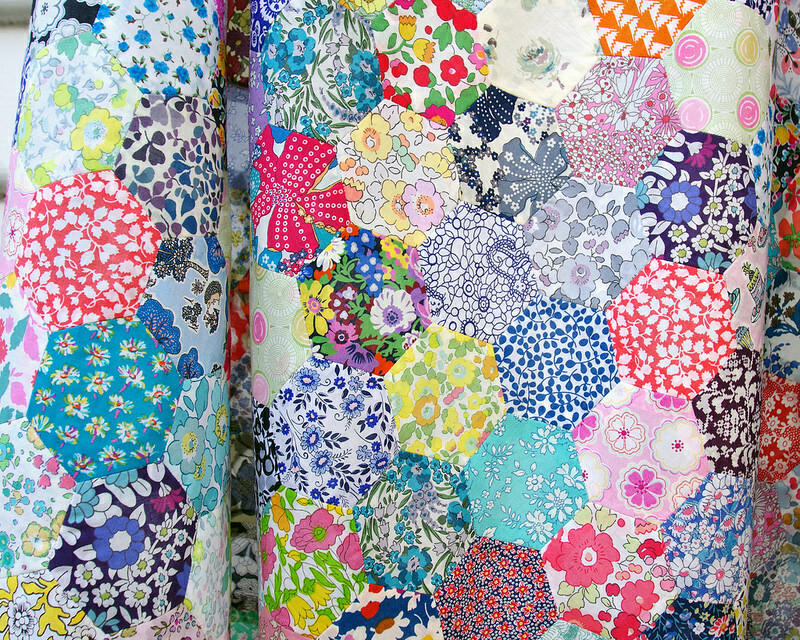 And, thank you for sharing all your beautiful quilts over the years. :) Best wishes! Finding your blog and being tremendously inspired by the modern quilting community as a result was one of my biggest influences in starting to quilt. I am so grateful your beautiful blog came into my life. Now it's your own life that needs an enriching change. I wish you all the best. Be sweet to yourself and family and come back here as often as possible. I used to have to blog for preschool. Time consuming for little compensation and small viewing by the parents for whom we MUST post. I am glad you recognized that it was time for you to make a change. Thank you so much for sharing your creativity and knowledge. I have learned so much! Rita, I did comment on Instagram earlier but I also want to comment here. Thank you for the tremendous amount of time and effort you put into providing us with all the beautiful pictures and so much valuable information here on your blog. Yours is one that I always made a point to read. You also were so gracious anytime I emailed with questions you were so quick to respond! I empathize with your need to make a change and hope you do take time for all the important things. I look forward to anything you post in the future. I'm a wanna-be knitter so I love your yarn project posts also. A girl’s gotta do what her ❤️ says! Thank you for all the inspiration you have shared over the years. Your quilts ring my bell so I’ll be tickled to see what you blog about in the future. May you know peace and joy. All the best in your new ventures Rita! Yours was the first blog I started following in the quilt world. Your quilts are distinctive and the perspectives you've shared inspiring. I will look forward to seeing your new creations through email. Will your tutorials still be available on your site? Thank you from one of your loyal followers! Sometimes when you turn a hobby into a business, some of the fun of the hobby does go away. I hope that fun returns and whatever decisions you make in the future bring you joy. Keep in touch dear friend. You know I am thinking of you so often. You are always in my daily prayers. Enjoy the time with your family. That is time you cannot get back, and it is more precious than anything else. Soak up all of the love. Many thanks for the wonderful quilts you shared with us. They were/are inspiring and joyful. I wish you all the best for your new way of life. I read the first line of your post and my heart skipped a beat, because I thought you were calling it quits. I am so pleased you will keep posting, even if it is less frequently. This has been my favorite must-read blog for years. I love, love, love your work and always check your archives for inspiration when I am feeling stuck. Thanks for many years of enjoyments. Best of luck on your future endeavors. Having had a longarm quilting business l understand where you are coming from. Enjoy, your free time, your family and good health. Your blog has given me a great deal of inspiration and enjoyment, l am about to start a La Passacaglia quilt after getting interested in E.P.P from your blog. All the best for the future. You are leading by example as always. All the very best. I will miss your more frequent posting, and am very glad you're not going to disappear entirely! 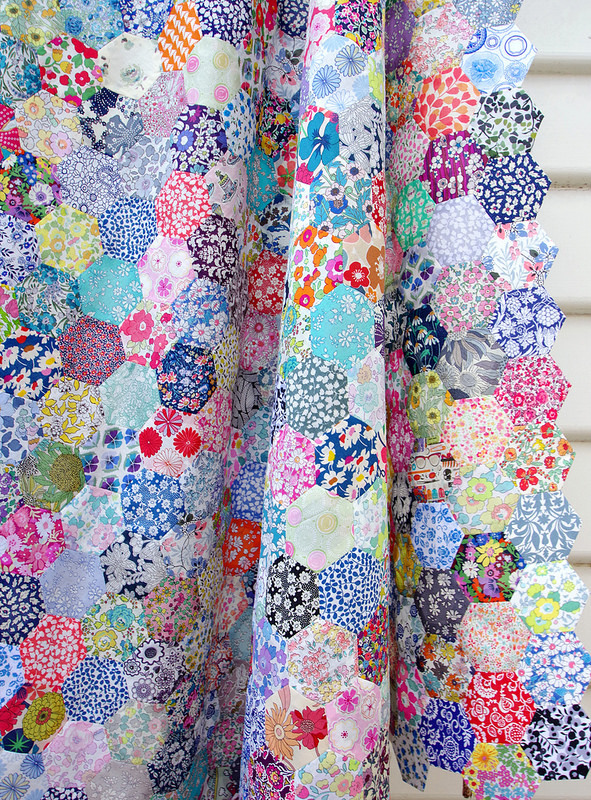 Your Liberty Hexagon Quilt is amazing! I have been a longtime follower of your blog, thank you for always sharing so much of what you do. I have been wanting to purchase one of your pdf patterns and do hope you still keep those available in your Etsy shop until I can get to it. Thanks again for all your inspiring posts. Dear Rita, I think you are just one of the absolute best. Your work is always refreshing and makes me smile. I love your color sense and fabric use. I learned of some suppliers through your blog. 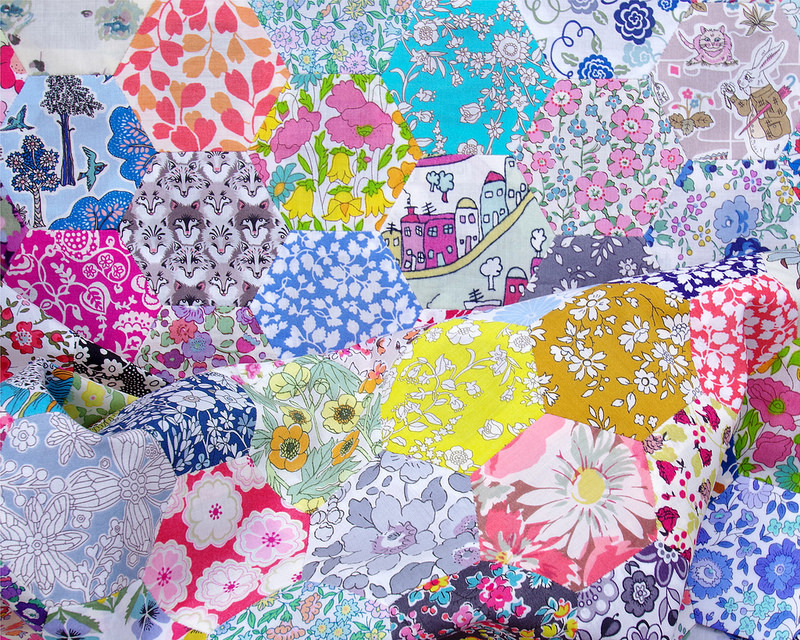 Please don't disappear all together as I look forward to your inspiring quilts. I have enjoyed every post and wish I could make quilts like yours! Thank you for all you have written and posted. Wow, this feels a bit like an end of an era! 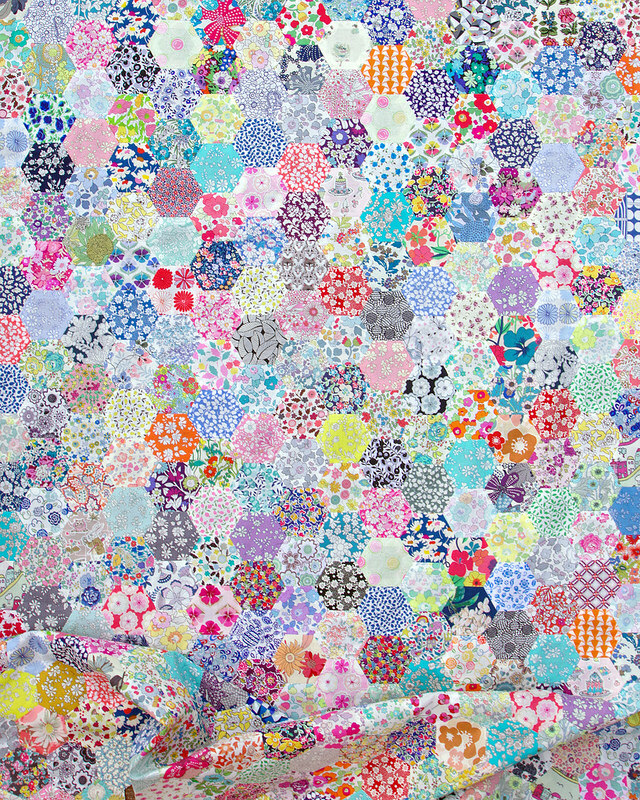 I've been reading for as long as I've been quilting, and you were one of the first quilt blogs I ever found. Thanks for sharing your journey! Good Luck on your journey, you are making the right choice. I've followed your blog for several years now. Family first always!! You have inspired me for years now and I will keep an eye out for your beautiful quilts and such! Take Care! Thank you for all the joy you have provided us with your beautiful creations. You have taught us so much and brought such wonderful beauty to the Internet. I wish you happiness in your family and all that you do. Congratulations on your decision, Rita, I'm sure it wasn't an easy one! As a follower since the beginning of my quilting days, I'm so thankful you'll continue sharing your work. You are such an inspiration! I will miss your blog but very happy for you! Sometimes it's good to slow down and not live a frantic life. I wish you the best! I am also one of your long time followers, Rita and I want to thank you for the beauty, the inspiration and talent you have shared with all of us through the years! Wishing you all the best with this new direction!